Being a single mom is one of the most demanding and difficult responsibilities anyone could ever face. No one can fully understand the pressures and challenges that each single mom faces. In my last blog I spoke of the challenges a single mom faces when it comes to dating with all its emotionally charged potential and pitfalls. But an even greater challenge can be the relationship single moms have with the birth fathers. How involved should the birth father be? When should the father of your kids be in their lives at all? I have some important tips for dealing with birth fathers. There are so many stories of the birth fathers who make promises to come around, be involved, and support, but then never do. and if he didn’t show up, or was late, I made sure I spent extra time with the kids myself. It got frustrating, but it made me and the kids closer. Some single moms struggle with birth fathers who won’t pay child support. What should a single mom do? Sure, there are some legal actions you can take, but many times, there is nothing you can do to get your ex to do what he’s supposed to do, or to be where he’s supposed to be. Realize that no matter what you do, you can’t force your child’s father to be involved. But you CAN play a part in not allowing your children’s view of their dad to become negative. Don’t complain to your kids about something your ex does wrong. But also, don’t let your ex have any kind of negative influence on your kids. You might think you have to keep him around so you can keep getting his child support. While his court ordered child support is required, you have to keep your kids safe and healthy at all costs. In some cases, it’s better the father never come around at all, rather than break hearts with broken promises. Your number one goal is to protect your child’s heart. 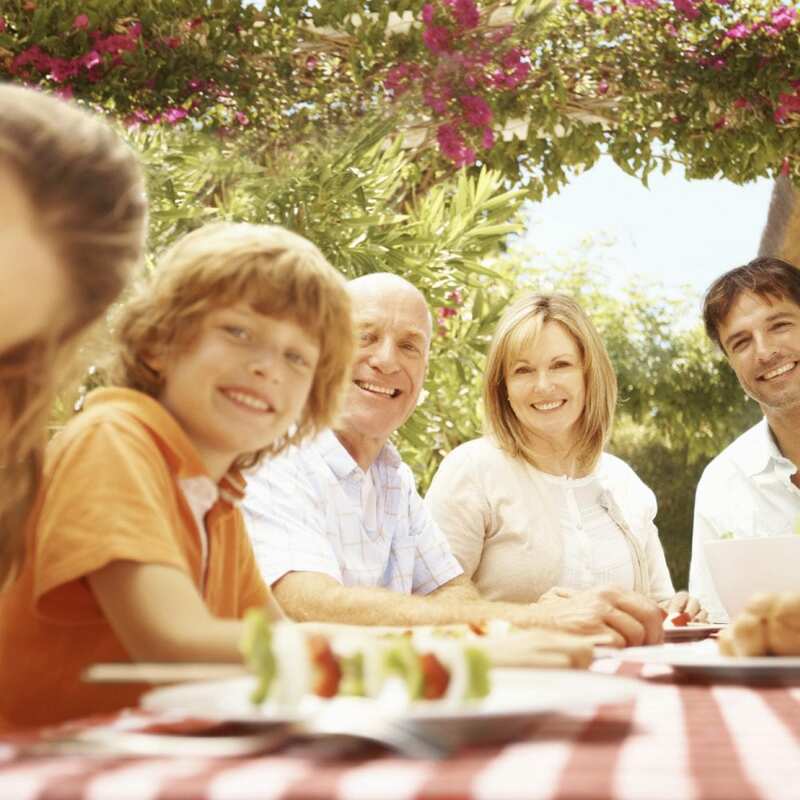 Sharon wrote that many times, children are left wondering how their dad could possibly not want to be a part of their life? These are the issues the single mom has to help them cope with…why doesn’t Daddy come see me? Why won’t Daddy come to my school play? Why doesn’t Daddy love me? To see the heartache in your child’s eyes…to struggle to find the answer that will cause them the least amount of pain…that burden, too, falls upon her shoulders.There may come a time when you need to accept that fact that you child’s father is not going to be there for them. Don’t waste your time pining over something that is not going happen. Your number one goal is to protect your child’s heart. No one can break the heart of a child more than his or her father or mother. Remember to always keep this question in the forefront of your mind: What is best for the kids? Although having a birth father involved is important, it’s not everything. Single loving mothers have raised amazing children. Forcing a reluctant father to talk on the phone or spend time with your child may be more harmful, especially if your child experiences rejection during the encounter with dad. Similarly, if you try to force a relationship with a father who doesn’t want one, your child is bound to feel disappointed and rejected. Don’t talk negatively about your child’s father, but you don’t have to glorify him, either. Leave the door open for responsible contact between the father and your child. You never know when he may become the responsible loving father they need. Remember to always keep this question in the forefront of your mind: What is best for the kids? Answering this the best you can will always be the right place to start when you feel confused and overwhelmed by your emotions and circumstances. It’s also very important for you as a single mother to know how to take care of yourself, first and foremost. In my next blog, I’m going to give you some practical tips on how to do that. Please send me a comment with ways you have found to take care of yourself so you are rested, recharged, and more capable of being the best mom you can be. 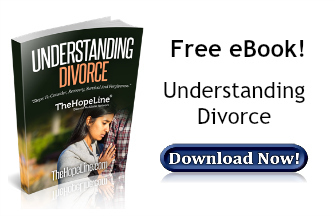 If you are a single mom after a divorce, check out our eBook: Understanding Divorce, for insights and advice with divorce recovery and forgiveness. Refreshing advice from the staid old advice of trying to get the father to be involved no matter what. When the father is abusive and absentee, kids are better off without him. Thanks a lot for site It is very useful for me. Your website is very useful.And I look forward to reading the article, as the article above.